look to September to see a nice hiccup in the market. This week I read this quote "Be fearful when others are greedy and greedy when others are fearful" ~ Warren Buffett AND how true is that statement. 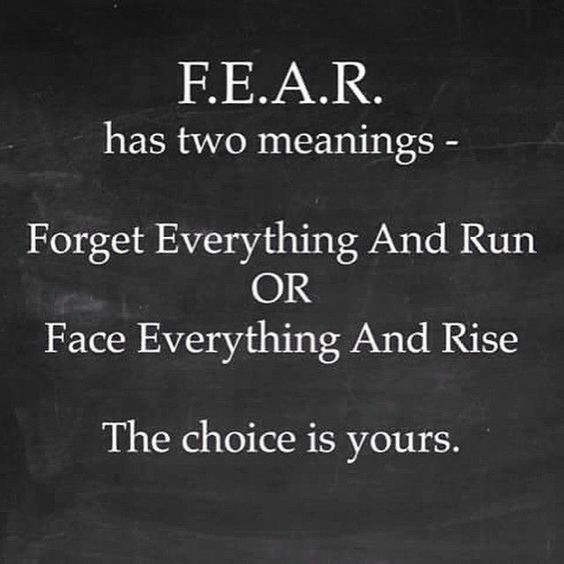 Right now, people are running scared like the sky is falling in real estate, the bubble is popping etc and in fact, a smart person would be seeing that as an opportunity to get in the market. No one ever looked back in history and said "Gee I wish I never bought that house"... whether it was in the peak in the market or the bust.... because real estate is not only an investment but it is YOUR HOME. My goodness, no one is losing money if they bought in 2016 .. because chances are they aren't selling it... for a while and when they do, they will be just fine. It is more the speculators who come in and buy homes and flip them and want to profit from it... not people like you and I who buy real estate for our home, our children's home and future retirement. 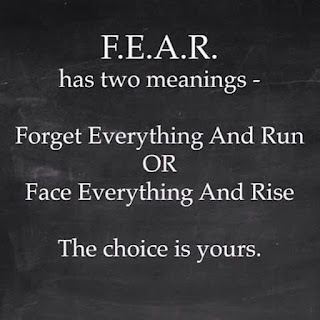 So please stop letting people scare you about real estate. Yes it is slow, always is SLOW. Yes, prices are down considerably from February and March and April of 2017 and I am glad they are. The prices were going up too fast and buyers weren't given the opportunity to even have a second look or a proper inspection. 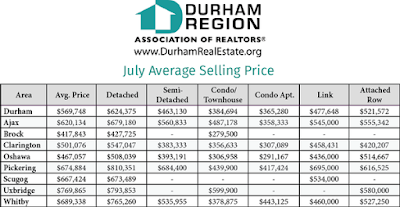 So YAY to a real estate slow down but I can guarantee you that the market will be healthy and strong in September ... once the dog days of summer have passed... not to mention the rain - the weather this summer has been awful and people aren't out looking at home in the rain. They just aren't. So if you are looking to buy, keep looking... you're timing is awesome and if you are thinking of selling, I would wait until after the long weekend in September and then reach out and let's talk about what we need to do to sell your home. I still recommend people sell before they buy in this market and have always preferred people do that but the past 3 years that hasn't been the case... because you couldn't buy anything without firm offers in competition. Those days are gone hopefully for a while. Now let's breathe a little easier that the real estate mania has finally settled down and we buy and sell with more realistic and beneficial goals than before. 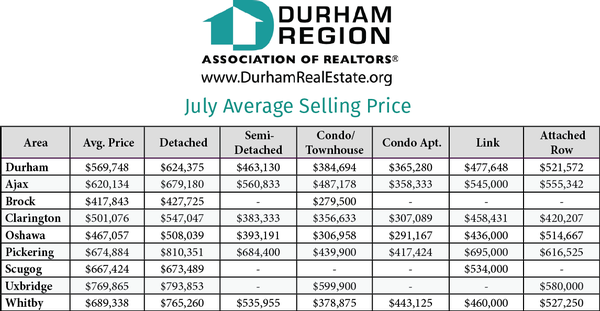 I am attaching the Durham Region stats for July and you will see the numbers are still good. The days on market are more but the sale prices are still good... in comparison to 10 years ago, they are great ! So people need to stop being so negative and look at this as a great time to buy in real estate. Have a great long weekend everyone... and hopefully we get some nice weather. If you have any questions about the market, your home or any listings, please don't hesitate to reach out. Please remember if you are buying and selling in the SAME MARKET ~ the conditions won't effect you. It is when you are buying in one market and selling in another that you may get caught, this generally happens with long closings but if you buy and sell within 90 days, you are going to be find. What you save on the buy will be the difference you may "think" you have lost on the sell. In 10 years from now, we look back on these prices and laugh and say, "Man I wish I bought more real estate"... just like we have all been saying the past year and half I am sure !!! I think we all know the housing plan put in place, spooked a few buyers and the interest rate hike didn't help but the deals are out there and ones that are shopping now, are going to look back and say, "I am so glad I did"... between now and the end of 2017, you will see some great opportunity. Be ready for them.